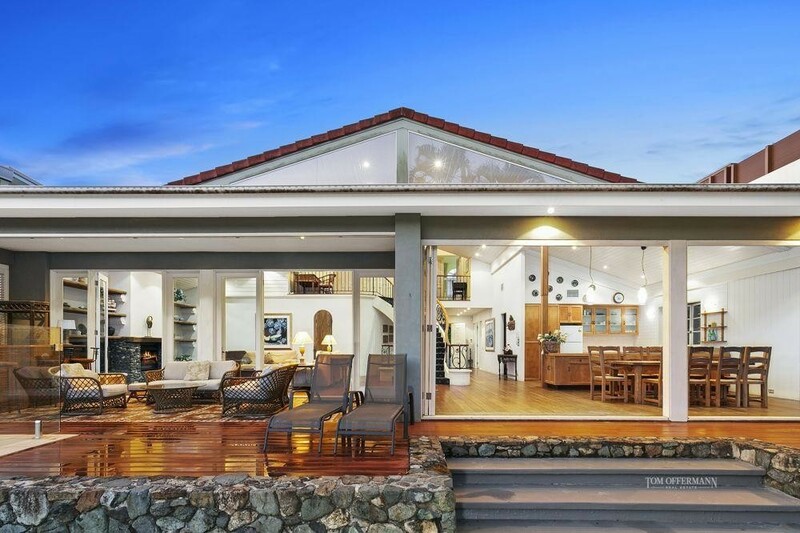 In the exclusive precinct of Noosa Sound, Witta Circle is the piece de resistance, and a charming residence with French-style flair has a privileged riverfront location. There's a sense of grandeur even from the leafy street. It continues in the white cobble stone-like courtyard, with mosaic tiles at the entrance, statement front doors and entrance foyer, cathedral ceilings with a VJ profile, beautiful wide-plank timber floors and a sweeping staircase. The layout is massive, yet versatile with a sense of uncluttered and considered living for all seasons, thanks to a pared-back approach and banks of fold-away shutters blurring the lines between the conservatory-style sun lounge and the pool, entertaining deck and bar. The emphasis however puts the good life alfresco on the white sand beach and long wide jetty, or swimming and kayaking in the shimmering river with its back drop of expansive views, front and centre. Open plan living and dining areas also embrace the seamless approach to the great outdoors; the 'U-shaped' timber and stainless steel kitchen has everything for the consummate entertainer; a cellar has the solution for vintage collectors; and the focal point in the living space is a stone-faced wood-burning fireplace. Shutters from the guest master suite open out to the front courtyard while upstairs is a total 'retreat to sleep' with two large duck-egg blue-hued and shuttered bedrooms which share a bathroom. The main master suite is complemented by an equally huge marble bathroom and two vanity units. 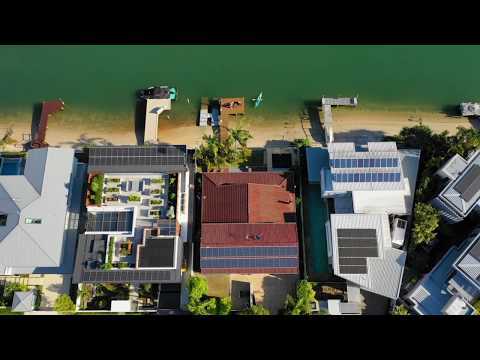 This home supports a life well-lived, especially when checking out the surf from the Noosa National Park's World Surfing Reserve just 10 minutes away or taking the boat out to the Noosa River and up to the Noosa Everglades. "Bask in the pleasure of being a 5-minute walk from Hastings Street," comments Tom Offermann Real Estate agent Eric Seetoo who's looking for expressions of interest. "Also feel safe in the knowledge this investment is secure for generations to come."